Custom Display Cases at best prices. We have a commitment to all our customers: offer the best quality at the best price. This has led us to be the company with the highest growth in online sales. Thanks to our custom design process we have achieved a record of satisfied customers and each time they add more. Once you have a display case in mind, we present it to our design team. Also the team starts the 3D drawing that will be the guide to manufacture your display case. Once it is reviewed by you, it is sent to the production area. In this stage you decide all the materials of manufacture: aluminum, laminated in different colors and textures, lighting, wheels, tempered glass shelves, locks and levelers. We have a large selection. After this, the manufacture of your display case begins. You are the one who completely supervises each of your showcases and we commit ourselves to be made in the highest quality. 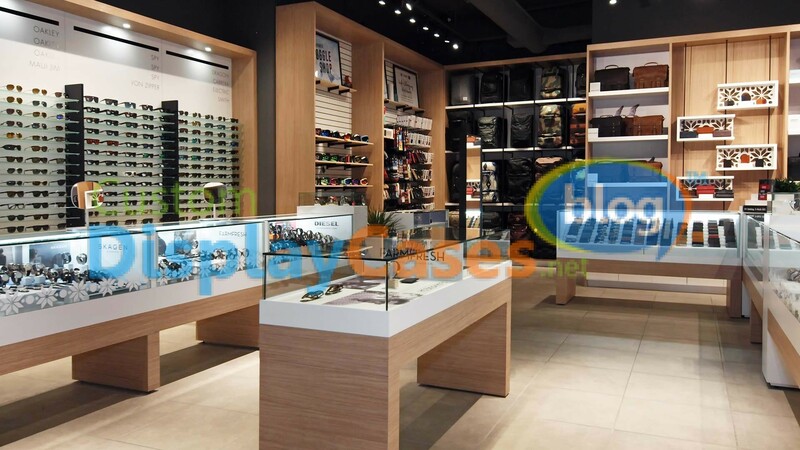 If you want to buy custom display cases, call us, our assistants will help you.